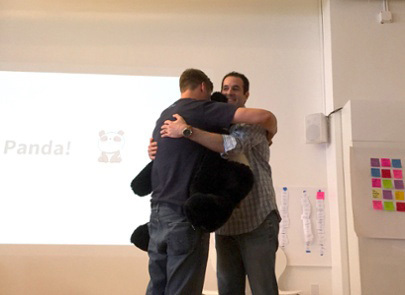 Hiring is hard, and especially so if you’re a startup. You’re competing for the same talent as Google, Facebook, and Uber, without the shiny brand or fancy perks. That’s where *really* good recruiting comes in and what you do to differentiate your opportunity from the sea of tech jobs and fight for candidates you believe in. Here’s the story of the great lengths we went to to fill a difficult role. 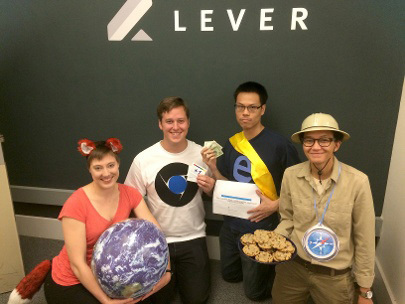 Following our Series A raise in fall of 2014, Lever was searching for a DevOps engineer. Unfortunately, just about every startup in the Valley was doing the same and struggling – DevOps talent was (still is) extremely competitive, with low supply and high demand. By chance, Tim Sogard was introduced to us by a friend as he was wrapping up a few months’ time off. “After a string of startups in social media and advertising, I had this idealistic idea of working for a “cause” like healthcare, aerospace, or security. 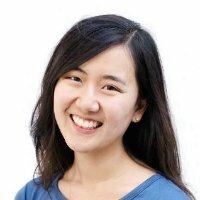 After burnout, I was pretty wary about starting a job search and despite my friend’s endorsement for Lever, I declined to interview. 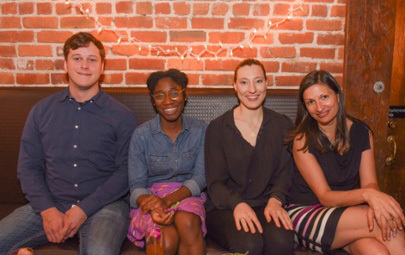 Recruiting was the furthest thing from my mind – I couldn’t think of anything more boring, helping build HR software," says Tim. We were disappointed, but refused to give up. We had seen some serious Leveroo-like qualities in Tim that made him such a strong culture fit back when we didn’t even know what our culture was. Not only was he extremely passionate about Diversity & Inclusion, it was also clear he cared a lot about impact and meaningful work, which he had in common with the existing team, making him a strong fit. Lever decided on a “play it cool” strategy for Tim to get to know us in a low-pressure way. We offered him a part-time contracting gig, to provide the transition space for his job search and he accepted, not knowing the plan was still to get him in full-time. 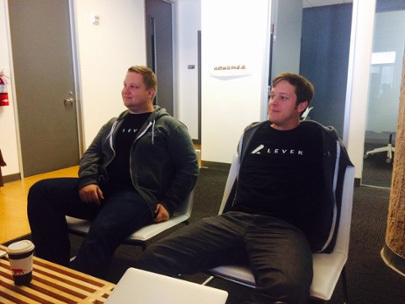 Tim "nerds out" with Leveroos at their old office and attends their Series B party. 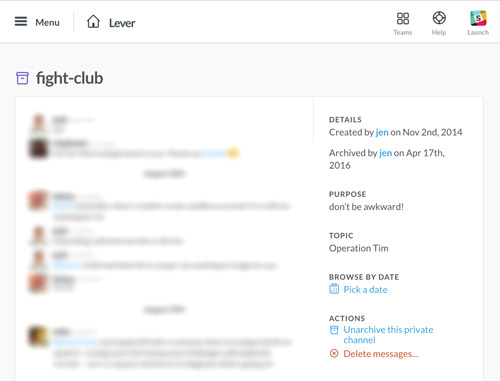 We even had a secret Slack channel called #fight-club that had every Leveroo in it but Tim to strategize and share updates (because you don’t talk about it, get it?). Since then, we’ve grown to 80 Leveroos and have hired many more supporters of our mission. 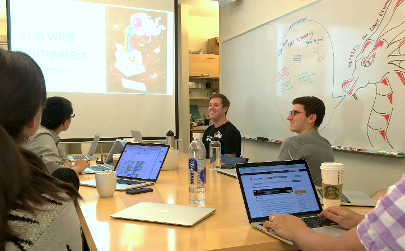 Because our product/industry isn’t “obviously cool” on the surface (like Tim, most engineers don’t seek out HR tech!) it’s proven to be increasingly important for us to talk about the higher-level purpose, to reach people who share our values and mission, whether they know it yet or not. This may be an extreme example, but you too can win in recruiting highly-sought engineers by getting just a little creative. Check out this free recording of "How to win your unfair share of top technical talent" webinar. In a world where just about every startup offers the same set of perks - ping pong tables, free lunches, happy hours – you have to be able to differentiate via your mission – the *why* you do what you do. Make sure you can articulate your mission and be ready to fight for candidates you believe in, and throw in a karaoke night or two to make it happen. Connect with me on Linkedin and find me on Twitter - I’m a former recruiter and write about stories, learnings, mistakes, and everything in-between.